Hi crafty friends! 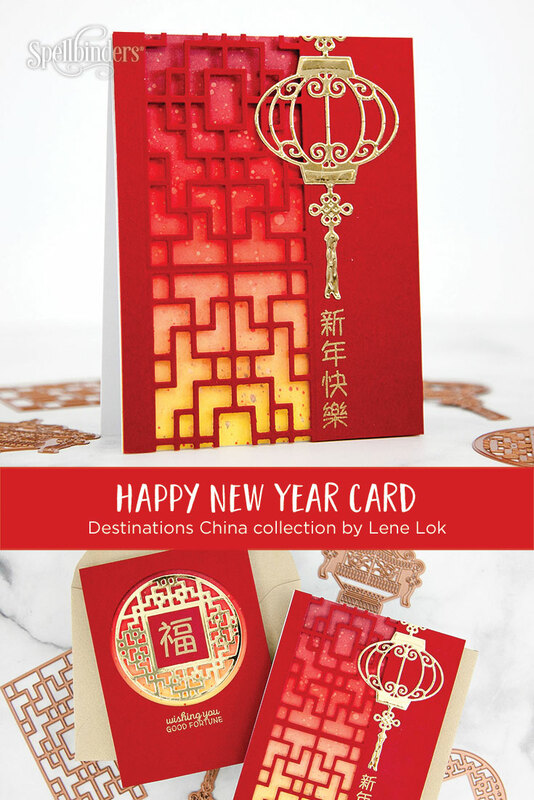 Its Keeway from Kiwi Koncepts, and I’m here to bring you some classic lunar new year inspiration with the Destination China collection by Lene Lok. 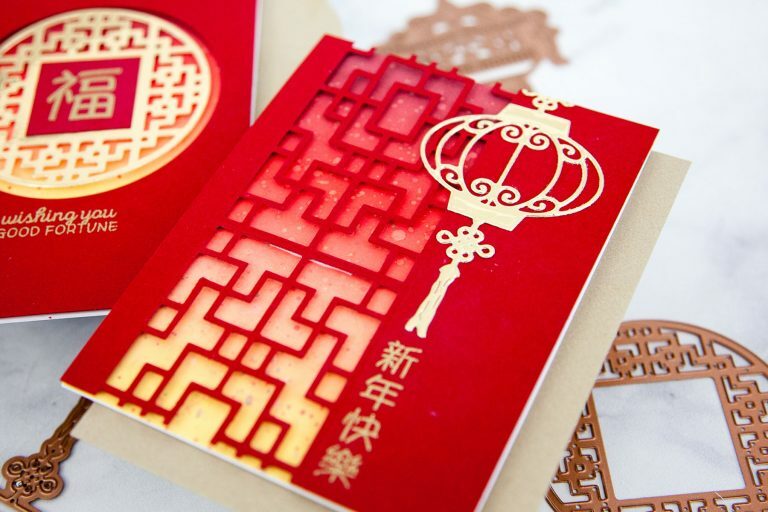 Lunar New Year celebrates the new year of the traditional lunar calendar which often happens in February. This year it falls on February 5th and it’s the year of the pig! When it comes to Lunar New Year, the use of red and gold are not only prominent, but meaningful to represent good fortune and joy, so it meant a lot for me to use these traditional colors in my projects today. The Destination China collection by Lene Lok carries beautiful traditional patterns to create delicate windows to bring out an ink blended background of reds and yellows. My first card uses the Chinese Coin Window dies. I first die cut the circle and the small square out of red card stock. Then, I die cut the intricate insert out of gold mirror cardstock. 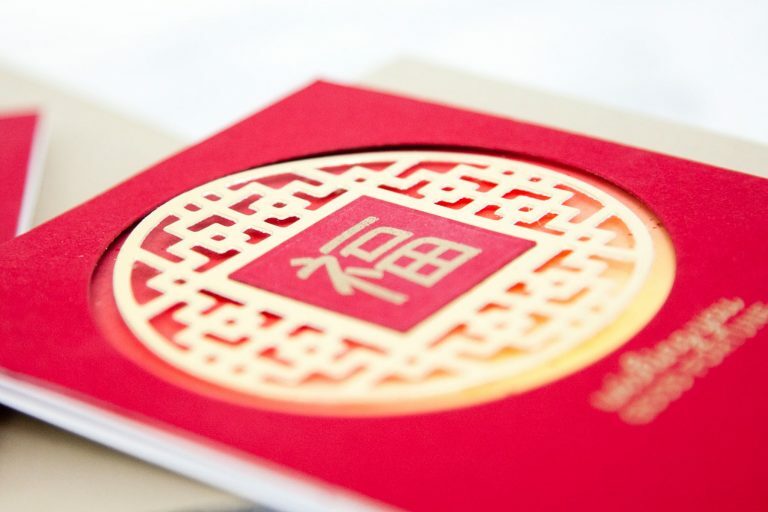 On the small red square, I heat embossed the word 福 (pronounced “fu”), which means fortune or good luck, in gold. 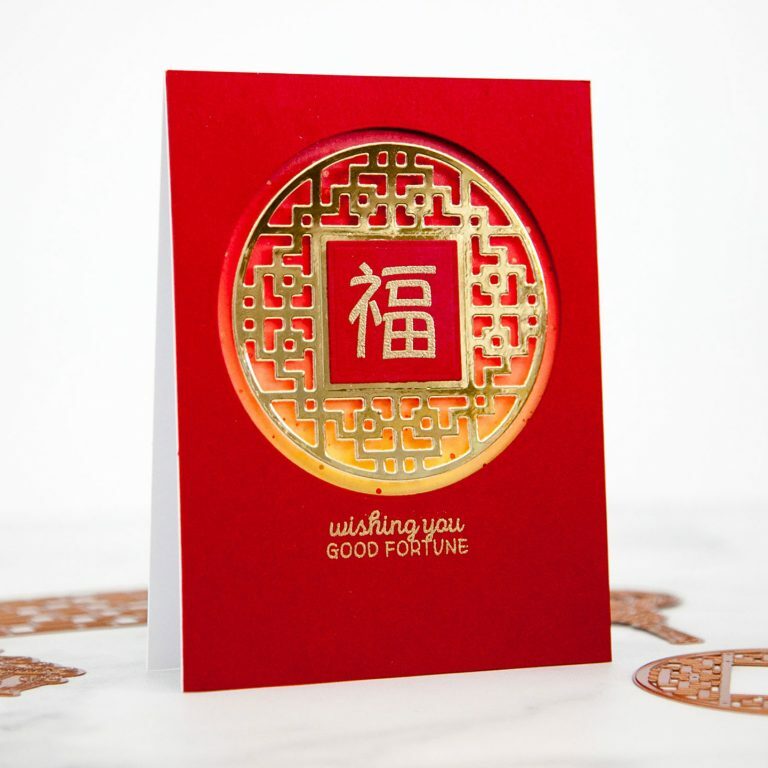 Below the circle, I also heat embossed the sentiment “wishing you good fortune” in the same gold. For the bottom layer, I ink blended the colors Aged Mahogany, Candied Apple, Dried Marigold, and Squeezed Lemonade for a gradient of red to yellow. I then layered on the red frame over it with foam tape. Next, I added the red square to the center of the intricate gold die cut, and finally added the entire design into the center with foam tape. 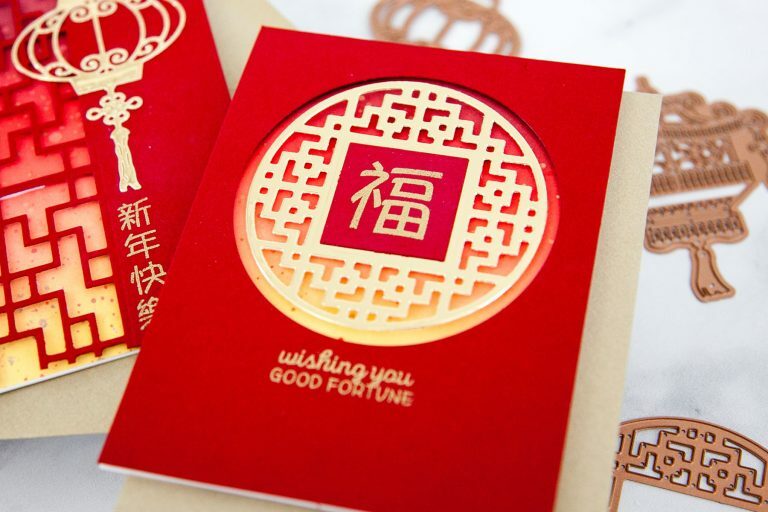 A simple design that truly shines of fortune! My next card follows similar techniques and color schemes, but with other products in the collection. This time I have used the Chinese Traditional Fence and Lanterns Etched Dies. 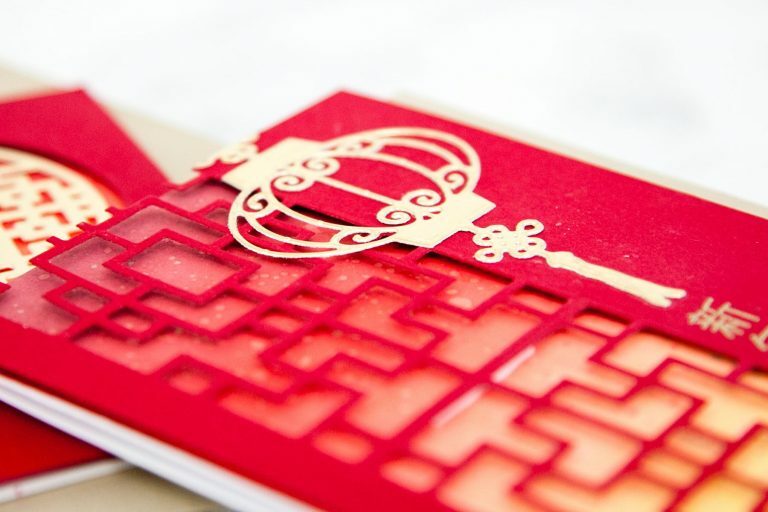 I started by die cutting the large windows by using the Traditional Fence dies twice on red cardstock to extend across the vertical length of the card. Next, I die cut the round lantern from the Lanterns dies out of gold mirror cardstock. I heat embossed the words 新年快樂 (pronounced “xin nian kuai le”), which means Happy New Year, in gold in the bottom right against the fence. Above it, I adhered the gold die cut lantern. I again ink blended the colors Aged Mahogany, Candied Apple, Dried Marigold, and Squeezed Lemonade for a gradient of red to yellow. I added the red layer over my ink blended background with foam tape to complete the card. Red Cardstock, Versamark Ink, Gold Detail Embossing Powder, Distress Oxide Inks, ME Lunar Extras. Beautiful Card!!! So well thought out; I love the beautiful die. It’s on my Wishlist. 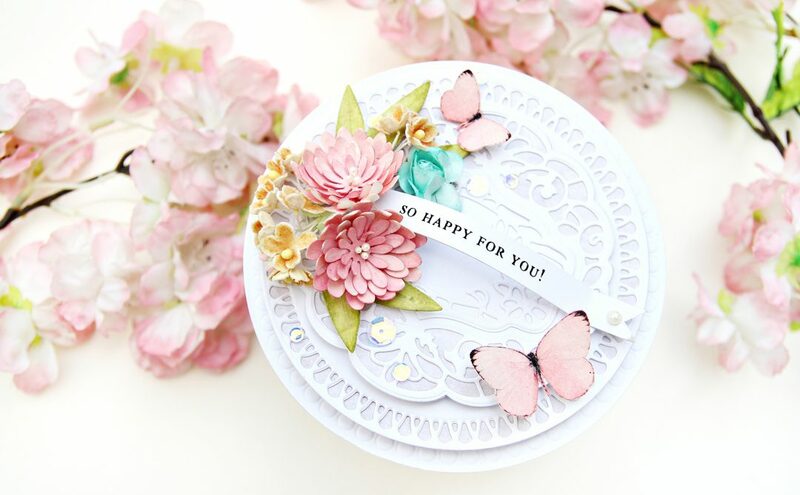 Is the sentiment a Spellbinders product? If so, what is the name (item number) of the stamp set? Thank You! Such a romantic card/the pink card. Also love the red and gold cards. Absolutely stunning! 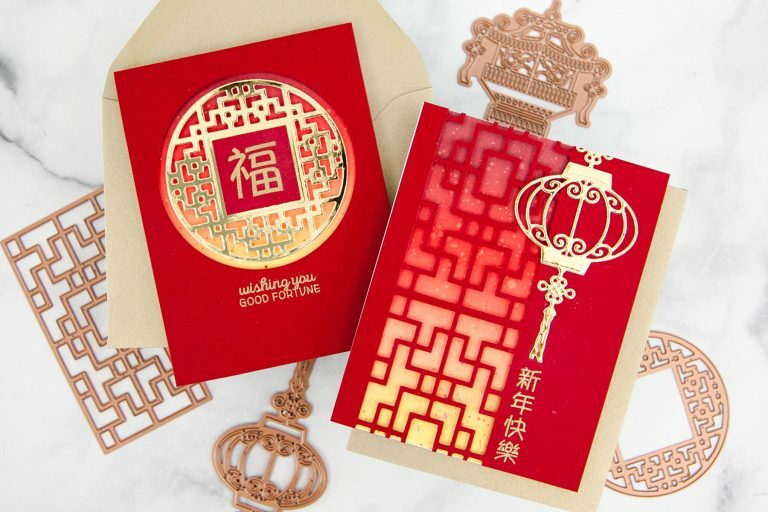 Perfect for Chinese New Year! 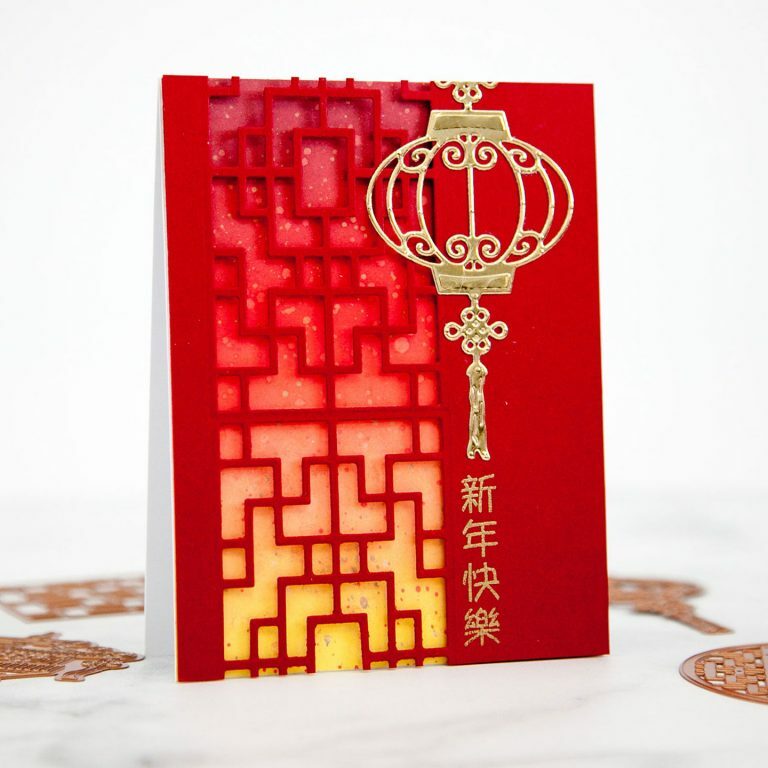 So nice to see some beautiful dies for Chinese New Year being made finally! Would love some stamps with the Chinese writing too – hope that they will be coming soon as well! where in Australia can I get those dies? 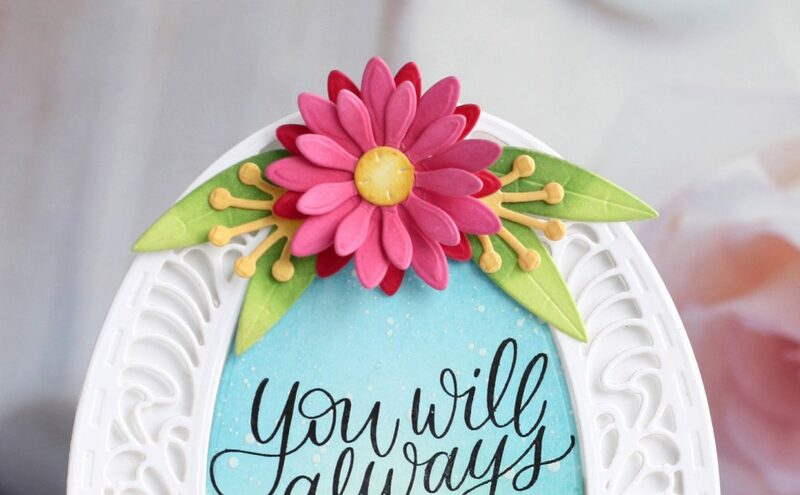 You can use Store Locator feature on our website to see if there’s a store near you – https://www.spellbinderspaperarts.com/store-locator. 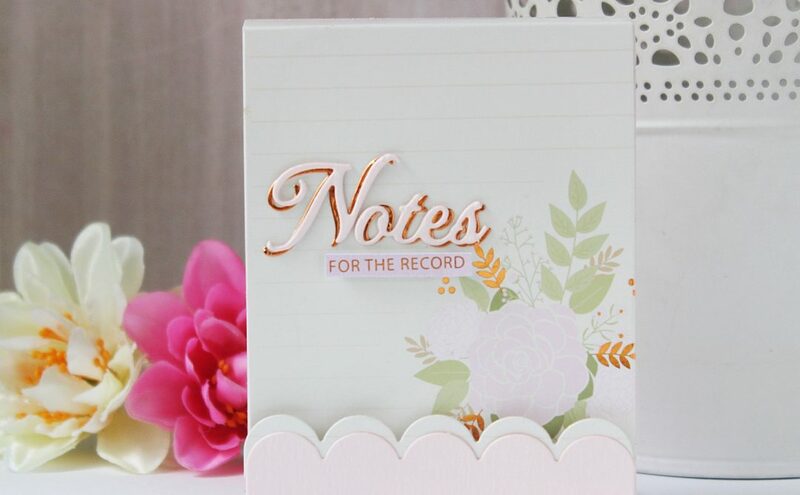 If you don’t find one, but there is a paper crafting store that you frequently shop at, please consider asking them to stock Spellbinders products. We hope this helps! Wow!!! They are AMAZING!!! I need to check on this collection. BEAUTIFUL! How do I purchase them online?